Finding more palatable names for the War on Terror won’t change — or end — it. That line came immediately to mind last week when President Obama declared that history tells us the war on terror must end. As an objective statement of fact, that is of course true. The War on Terror must end. So must all life on this planet. But saying so doesn’t make it so. Some things must end on their own timetable. In 1387, when the Hundred Years’ War was already a half-century old, Richard II undoubtedly would have very much liked the war to end. But the French didn’t want it to end on losing terms, so they kept fighting for another 66 years until the English were finally booted from French soil. The Hundred Years’ War actually took 116 years. That is a really long time. A soldier in 1450 might have had a great-great-grandfather in the same war. Of course, the Hundred Years’ War was really a series of wars, battles, and skirmishes that flared up and subsided over eleven and a half decades. You could say something similar about the Cold War. The Vietnam War and Korean War were flashpoints of a larger civilizational struggle. A more apt comparison might be the long struggle between Islam and the Byzantine Empire, which began in the seventh century, in Mohammed’s lifetime. I have no doubt that Emperor Constantine XI Palaiologos would have loved for that war to have ended a few centuries before he died in battle in 1453 defending Christian Constantinople. When he died, the Roman Empire died with him. President Obama says, “We must define the nature and scope of this struggle, or else it will define us.” There’s some wisdom there. I never much liked the word “terrorism” because terrorism is a technique, not a worldview. If North Korea launched an intercontinental ballistic missile at us, we would not respond by declaring war on ICBMs, but on North Korea. If al-Qaeda had a standing army, we’d still be at war with al-Qaeda, not standing armies. But finding more palatable terms for this war will no more end it than defining manure as a sweet-smelling flower will change the odor. After five years of using methods he now condemns, the president now says the global War on Terror is in effect over and what must replace it is a planet-wide battle on terrorist networks. That’s an interesting distinction. As military analyst Bing West writes, “English translation: The war on Islamic terrorists is not boundless, but it does encircle the globe.” No doubt the Americans — and jihadists — doing the fighting will not notice much of a change. A lot remains unknown about what Obama actually intends to do — or will be able to accomplish regardless of his intentions. He is very fond, at least rhetorically, of treating terrorism as a law-enforcement issue. If we aren’t attacked for a while, his new approach will seem wise. If we are attacked, it will seem like folly. 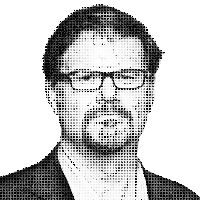 — Jonah Goldberg is the author of The Tyranny of Clichés, now on sale in paperback. You can write to him at goldbergcolumn@gmail.com, or via Twitter @JonahNRO. © 2013 Tribune Media Services, Inc.